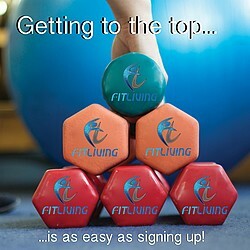 Fit Living Personal Training is one of Regina's most trusted names in the fitness business. Serving customers since 2008, our result producing personal training, SHRED training, classes, meal plans and workout programs have been keeping Reginians fit for years. We pride ourselves on top notch quality personal training that is unsurpassed in the city. Our training is unlike any in the city. We incorporate a number of different disciplines and blend it all into intense result producing workouts. We believe the body has to constantly adapt to different workouts in order to keep seeing results. We also aim to educate our clients on the benefits of healthy eating and maintaining an all around fit lifestyle!